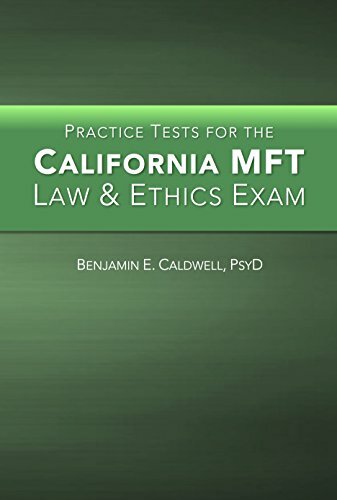 If you're a California MFT student or you're studying for the licensing exam, you're probably familiar with Ben Caldwell. I first became acquainted with his work through his excellent blog, Psychotherapy Notes. 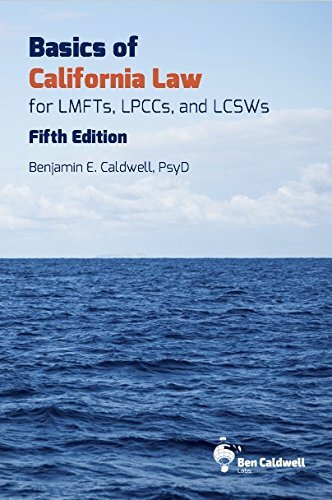 He's written an easy-to-understand textbook, Basics of California Law for LMFTs, LPCCs, and LCSWs, which is used in Law & Ethics courses as well as considered a must-have desk reference for practicing clinicians. 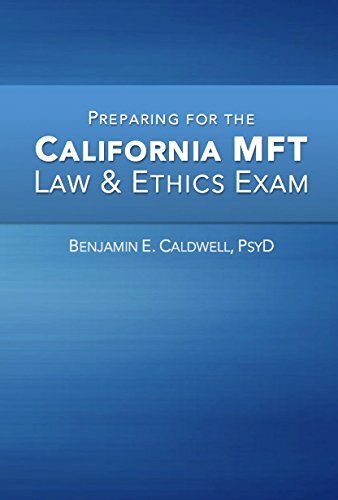 He's also written a series of prep books for the various law and ethics exams in California, and his company, Ben Caldwell Labs, is now offering continuing education courses that meet the six hours of Law & Ethics content needed for license renewal in California. Somehow, he has also found time to be a frequent guest on some of my favorite podcasts, advocate for prelicensed MFTs, and teach at the graduate level, as well (full disclosure: I am currently a student in his Systemic Family Therapy Theories course at CSUN--the opportunity to learn from Dr. Caldwell was a major reason I wanted to attend this program). What I'm trying to say is--if you're currently on the path to becoming a licensed MFT in California, you probably know this guy. 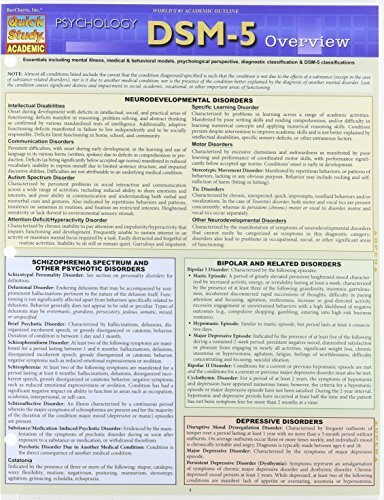 You've probably also gathered that he's passionate about the field of psychotherapy. 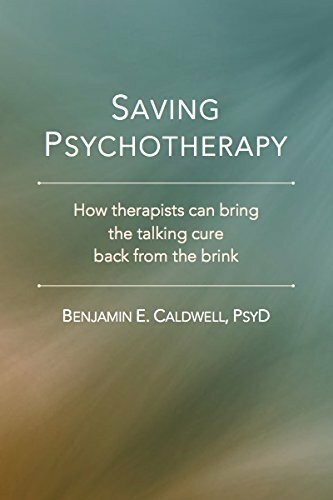 If you've purchased his books before, you may have seen advertised a slim, unassuming volume entitled Saving Psychotherapy: How therapists can bring the talking cure back from the brink. It hasn't been required reading for any of my classes yet, and I don't know why not. I think every future MFT should have to read this before embarking on the graduate school journey--it is a clear-eyed look at the current state of the profession and a clarion call to psychotherapy students and clinicians to take personal responsibility to improve the field. The quote in the image above is from Caldwell's introduction to this book, and it sums up his underlying point--don't be intimidated by the size of the problem, because if we all pull together, we can achieve something great. The problem, Caldwell argues, is that the field of psychotherapy is in danger. He points to research indicating that, though therapy has been shown to be effective, it is increasingly underutilized, it "isn't seen as competing well against other services, and [its] reputation as a profession is not as strong as it could be" (p. 28). 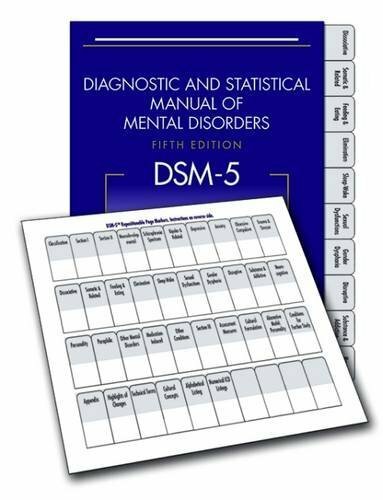 Readers should not jump to scapegoat the usual suspects, however; while it may be easy to blame Big Pharma or doctors or the stigma associated with mental health services for psychotherapy's issues, it won't help anything (and it's not entirely fair). Instead, Caldwell outlines a straightforward four-pronged plan of attack to advance the field, all underlined by the necessity of taking personal responsibility. He encourages us to clarify our purposes and values to ameliorate the problem of client mistrust. 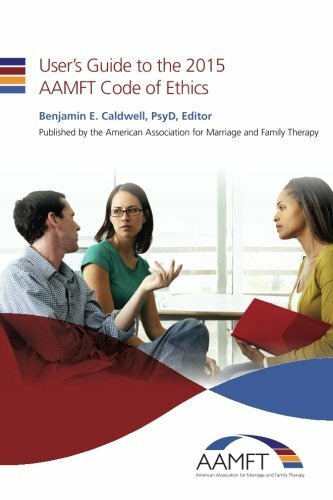 In this chapter, Caldwell makes an explosive claim: " Therapists who refuse to give advice are failing to fulfill their responsibilities as professionals" (p. 48). If you just re-read that sentence, I don't blame you--it runs counter to almost everything I've been taught about being a therapist so far. However, Caldwell's argument is so persuasive you just might exclaim out loud, as I did, "BY GEORGE HE'S RIGHT." Fix the process of therapist training and licensure. Caldwell goes into great depth on the problems inherent in the training and licensure paradigms, both of which figure heavily in his advocacy work. The part of this section that most resonated with me was his exhortation to "let money be an explicit factor in decision-making" (p. 103), offered as a counterbalance to the general reticence on the part of most in the field to discuss financial matters. Personally, I first ran up against this brick wall as I was attempting to determine just how much this whole "graduate school" endeavor was going to cost me. It started simply enough, when I was trying to compare tuition at different programs I wanted to apply to. THIS WAS NEARLY IMPOSSIBLE. Then, I wanted to discern the functional difference between the programs--each one seemed to toot their own horn for different reasons, and I had a hard time wrapping my head around what set each program apart. I became aware that, intentionally or not, many programs obfuscated the details of their programs. 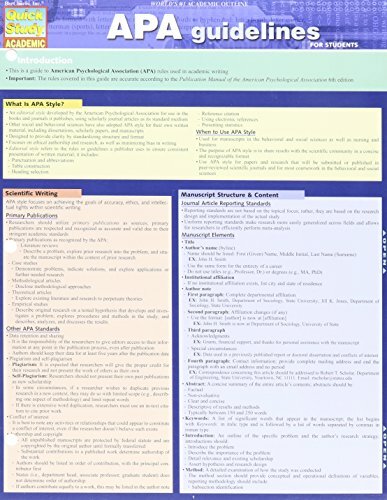 I had a lot of free time back then, so I meticulously researched until I had the answers I wanted, but then it dawned on me--there were probably A LOT of people researching these programs that did not have my levels of free time or tenacity (ok fine OCD tendencies). What were they going to do? Probably rely on advertising. That pissed me off. Fortunately, I'm stubborn. And had a lot of free time back then. And a touch of OCD. 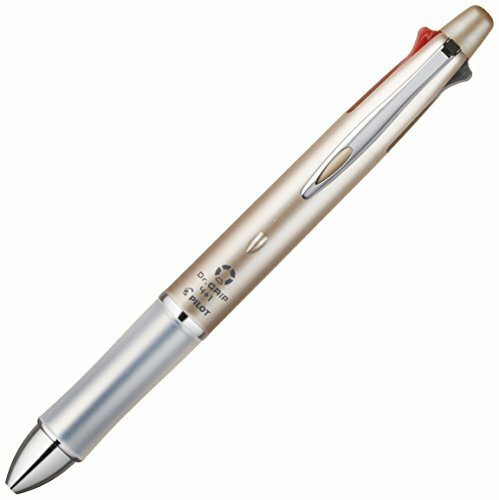 So I researched every single MFT program in California and put it all in one place, MFT California. All the information looks the same between programs, so you can easily compare across different metrics. Most importantly? You can easily get a general idea just how expensive each program is. It's pretty enlightening. So yeah--I really liked this part of the book. This idea is also near and dear to my heart--embrace science. Caldwell argues that discounting science as a therapist is a prime example "of cutting off one's nose to spite their face" (p. 37). 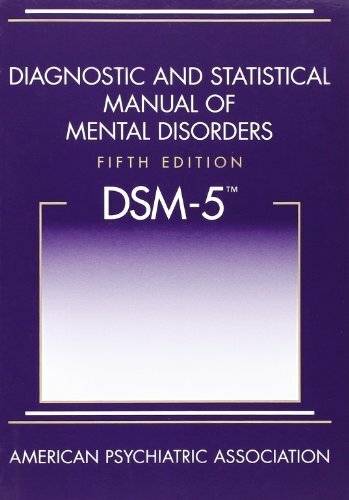 His section on statistics in this chapter entitled "Bad Science" was incredibly helpful during my Clinical Research Methods class; if you're intimidated by the math-y-ness of the social sciences, please get this book if ONLY for this reason, because you won't be so intimidated once you're done with this section. Postmodernism's philosophical embrace of scientific knowledge as well as the more ephemeral ways of understanding really resonates with me, so I deeply appreciated how Caldwell addressed this concept. Caldwell clearly articulates at the end of each chapter concrete ways you can personally take action to save psychotherapy. There are simple, common-sense measures we all can take to improve our field, such as becoming a supervisor, being a skeptic not a cynic, and gathering data on your practice. These may seem like insignificant ways to do something as monumental as "save psychotherapy," but if we each take up an oar and really put our backs into it, we can cross oceans. And your very first step could be reading this book.